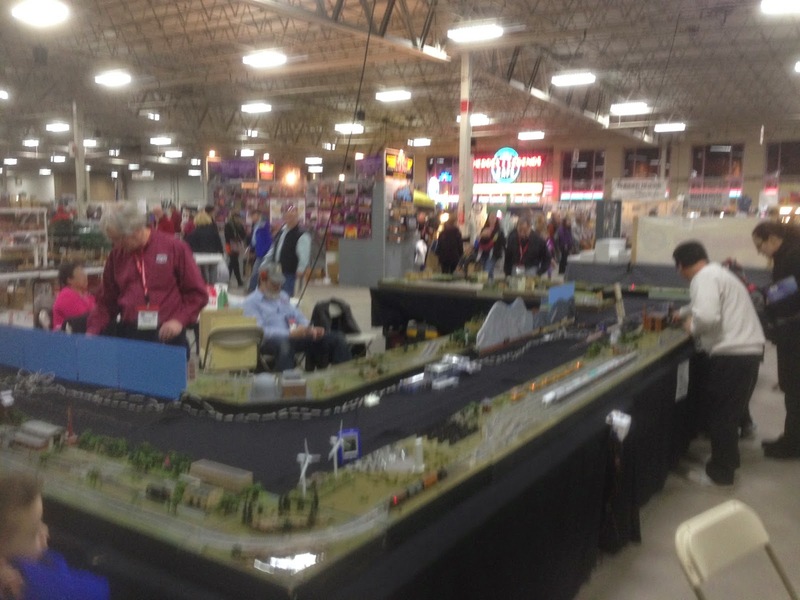 NJL is an N-scale model railroad primarily depicting the New York, Susquehanna, and Western in modern times. Also, there's a little bit of the Norfolk Southern, CSX, Morristown & Erie and New Jersey Transit thrown in there for good measure, hence the name - "North Jersey Lines". Well... 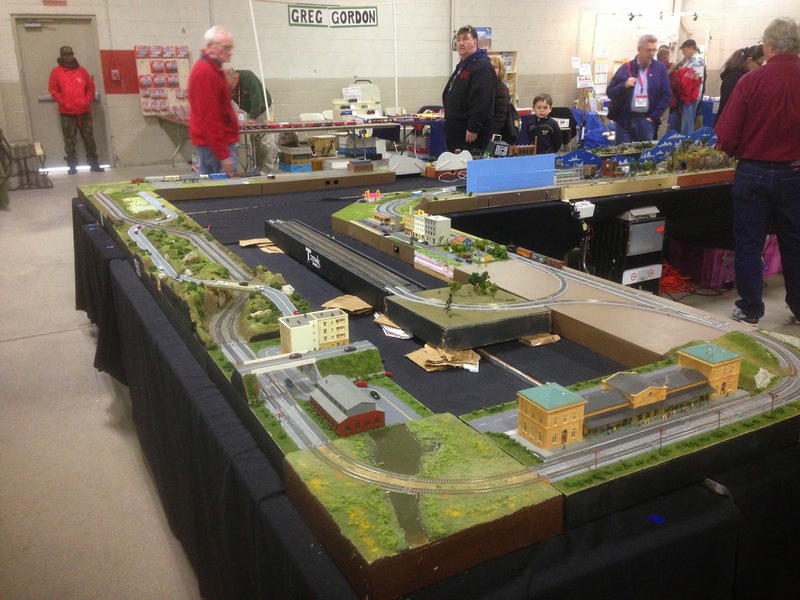 The time has come yet again for the Amherst Railway Society's Hobby Railroad Show!!! 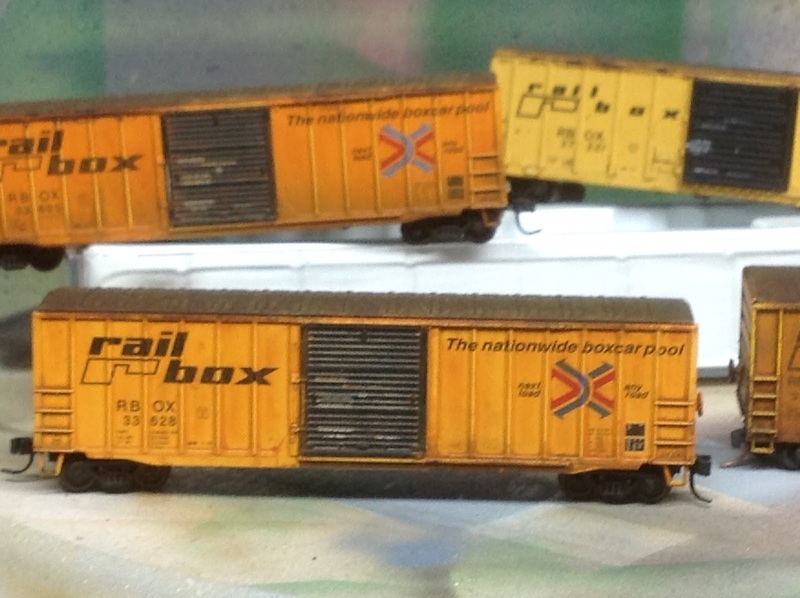 I'll be there as part of Northeast N-NTRAK / T-TRAK Winterfest. This is always a good time for us n-scalers. If you're there, stop by and say hello! Secondary N-TRAK in the Mallory Complex. I'll be around all three layouts. 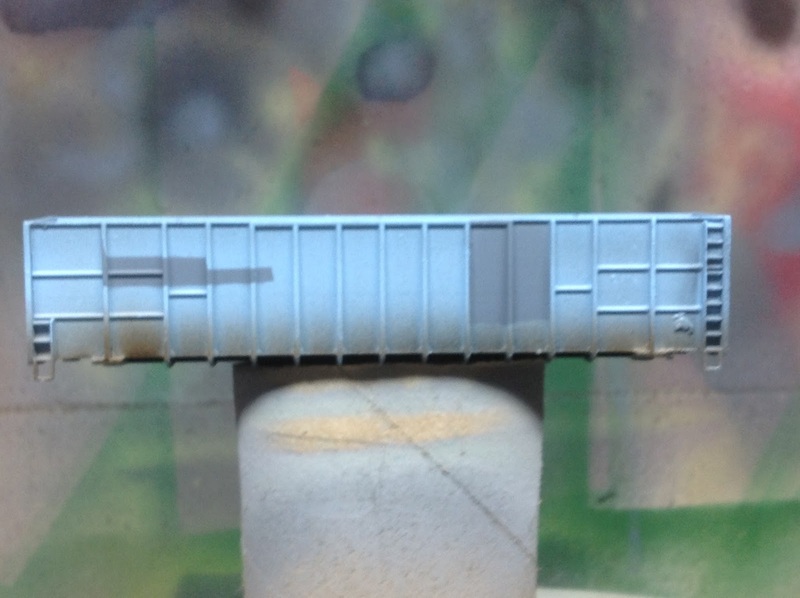 I've been working on some train-related items. 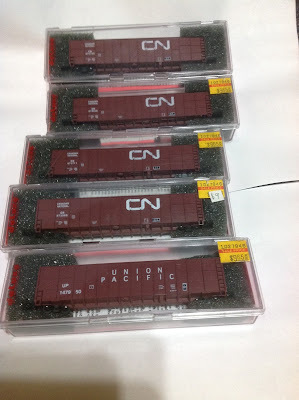 Mainly T-TRAK and fitting decoders into engines. Also been trying to speed match most of them to a common standard. My standards are a top speed of 50 mph at throttle position 99 (Digitrax). 25 mph at setting 50, etc. 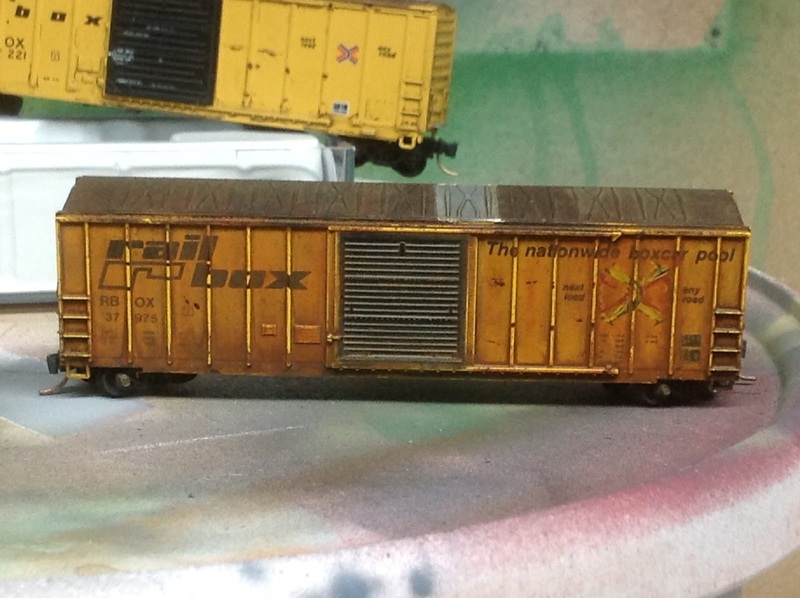 Also trying to outfit a toolbox as a "powerbox" for both T-TRAK and my (somewhat nonexistent) railroad. More on that at a later time! My latest T-TRAK modules, in the planning stage, are 2 (or more) triple-wide with a grade going down off the RED /. FRONT track. 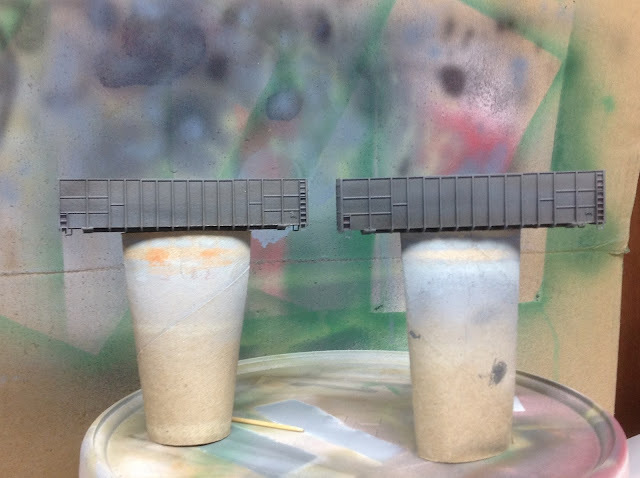 After priming them (I didn't bother to strip them), I left 3 in the primer grey, and 2 in rattle-can sky blue. 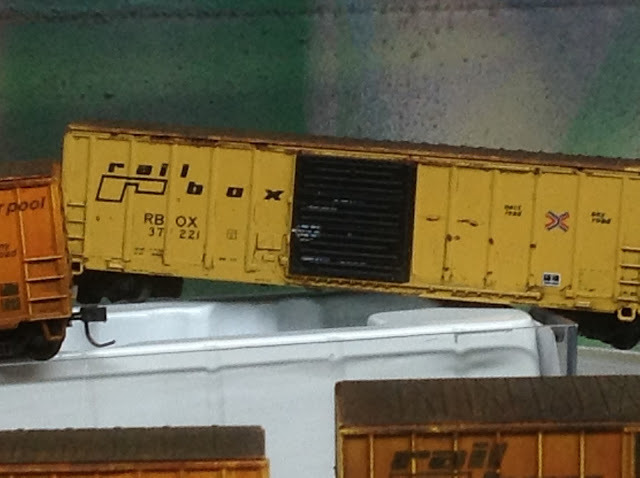 One sky blue car will become GBRX 934873, an ex-GN woodchip hopper. Goal is to also model the tarps. I will letter them for my private leasing company. So, why have these been taking so long? I really don't know, but I've been on a weathering tear lately. For comparison, here's a new box from Intermountain. Working on a new project - between lawn mowing, landscaping, and work on the house! 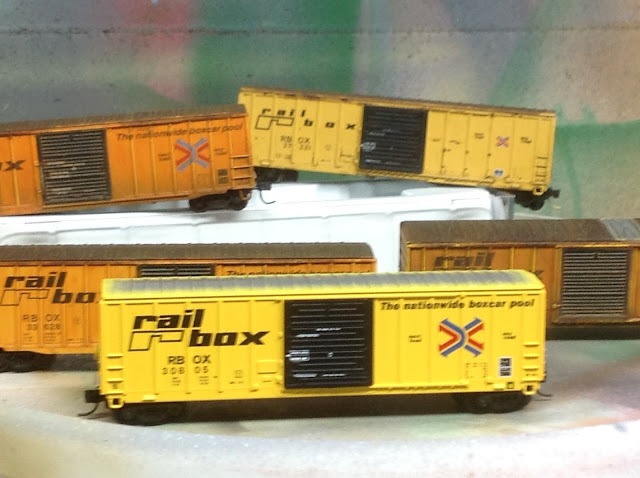 These are Deluxe Innovations Woodchip cars I'm re-purposing for C&D cars. I'm not even bothering to strip these. The trucks will be removed, and the bodies will get a shot of gray primer to start. Another year has passed, and the long snowy weekend of January 23-25 I participated in Northeast N-TRAK's Winterfest program. I've been heading up to West Springfield, MA for this evemt the last 5 or 6 years. I look forward to it every year! Seeing old friends, and meeting new ones. 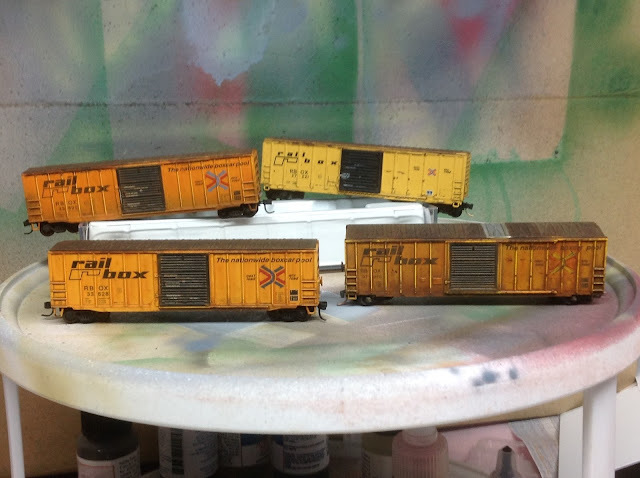 This year, I didn't run anything on the big N-TRAK layouts. Instead, I was involved with the very first T-TRAK display at the show, and spent most of my time there. 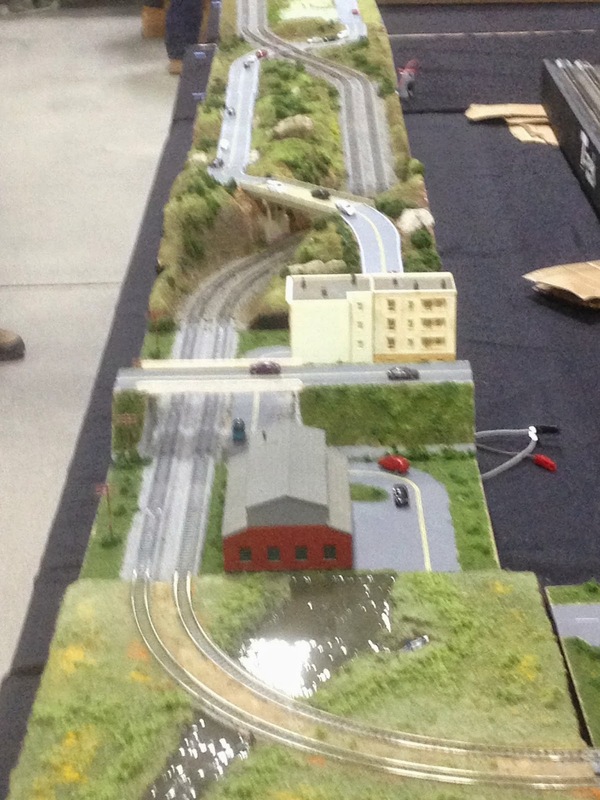 This year, we grew to have layouts (two N-TRAK and one T-TRAK) in three separate buildings. Unreal!! Many thanks to Fay Chin of Northeast NTRAK and Dave Ferrari of NNJ-NTRAK (my home club) for getting together and making it happen. 2011-2013 M. Maloney. Powered by Blogger.